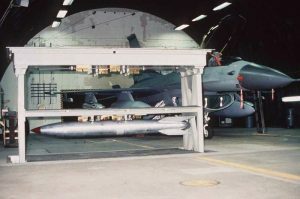 A US B61 nuclear gravity bomb at the ready inside a Protected Aircraft Shelter with a German Tornado PA200 fighter jet. German bunkers like these hold at least 20 of the bombs, and German pilots train to use the weapons under a controversial and classified “nuclear sharing” agreement. Similar “sharing” agreements have been made between the US and Belgium, The Netherlands, Italy and Turkey. NOTE: This report is excerpted from an article in 360⁰-NATO: Mobilization on All Fronts, edited by Sabine Lösing, Member of the European Parliament, April 2017. NOTE: This piece is excerpted from an article in 360⁰-NATO: Mobilization on All Fronts, edited by Sabine Lösing. [German] Tornados [fighter jets] are not compatible with the B61-12 without modifications. For this reason, they are candidates for “modernization” as is the associated airport at Büchel…. [According to N-TV, Sept. 22, 2015]: “German Tornados should be able to attack with the newest US nuclear weapons within the scope of nuclear sharing.… Not only American, but also German sources plow money into the modernization of the airbase in Büchel. *The Strategic Concept is NATO’s official periodic document that outlines its purpose, nature and tasks. From left with banner, Margriet Bos from Amsterdam, Susan Crane from California & Bonnie Urfer from Wisconsin stopped traffic in July 2018. Please join the campaign “Büchel is Everywhere: Nuclear Weapons-free Now!” to bring existing US nuclear weapons back home, and halt production of the new B61-12 nuclear bomb, scheduled to be built in the US by 2020 then deployed in five European countries: Italy, Belgium, The Netherlands, Turkey, and Germany. 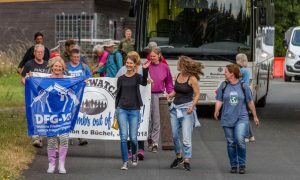 For a third year in a row, Nukewatch invites peace, anti-nuclear, environmental, and student activists to participate in the International Week, July 8 to 16, 2019, at the peace camp near the main gate of the Büchel Air Base in Germany. “International Week” at peace camp includes a variety of actions with activists from around the world, some seen here after a 2018 trespass. In 2016, 2017, and 2018, twenty weeks of nonviolent actions took place with participants from over 50 organizations. Twenty weeks represent the 20 B61 H-bombs deployed at Büchel. The peace camp includes networking, training, and nonviolent civil resistance. Again this year, groups and individuals will conduct all kinds of nonviolent actions (blockades, trespasses, vigils, etc.) at the base to pressure the government and to remind lawmakers of their various promises to permanently eliminate the US nuclear weapons. International Week is part of 20 weeks of action stretching from March 26th to August 9th (Nagasaki memorial day). This year marks the third gathering of European activists with anti-nuclear resisters from the United States—where construction of the new bomb is taking place. In 2018, 10 campaigners from the US joined with dozens from Holland, Belgium and France, and the International Youth Group from Mutlangen, Germany. On July 17, 2017, US delegates personally delivered a copy of the new Treaty on the Prohibition of Nuclear Weapons to the commander of the air base. According to AirForce-technology.com, the US bombs can be air-launched by warplanes such as the B-2s, F-15s, F-16s, and Germany’s Tornado PA-200 fighter jets. German Tornado pilots are trained and obligated to take off with these US bombs and, under orders from a US president, to attack populations with them. This unlawful and terrifying war plan is part of a “nuclear sharing” agreement between the US and Germany, and includes a first-strike option that the US and NATO insist is necessary. (See NATO: Alliance for Global Intervention) NATO calls its weapons proliferation “power and burden sharing,” and it currently involves nuclear war exercises next to the East-European Russian border—one was code-named “Anaconda”—involving tens of thousands of soldiers and extensive maneuvering of heavy military equipment. Like the current B61, the new precision guided B61-12 is a weapon of mass destruction, which experts have called illegal under German, US and international law. 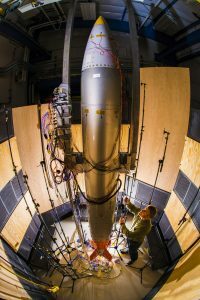 Three US nuclear weapon’s National Laboratories—Los Alamos and Sandia in New Mexico, and Lawrence Livermore in California—have worked to design the new B61-12. Component parts are being made at the Y12 complex in Tennessee, the Kansas City Plant in Missouri (formally the “Kansas City National Security Campus”), and at Sandia. Final bomb assembly takes place at the Pantex weapons assembly site in Texas. Major contractors are Boeing, Lockheed-Martin, Honeywell, and Bechtel. Hans Kristensen of the Federation of American Scientists has reported that 400 new B61-12s are planned and each weapon will cost at least $25 million. The planned replacement of the B61s is moving ahead despite the German parliament’s overwhelming approval March 26, 2010, of a cross-party resolution calling on the government to pursue their permanent removal. The new B61s also fly in the face of huge majority public support of a denuclearized Germany, and of the newly adopted UN Treaty on the Prohibition of Nuclear Weapons. Germany has a strong nationwide campaign of 60 groups and organizations (“Büchel is everywhere—Nuclear Weapons-free Now!”) focused on nuclear abolition, and embracing civil resistance at the scene of the crime. Nukewatch is the first non-German organization to join the campaign. 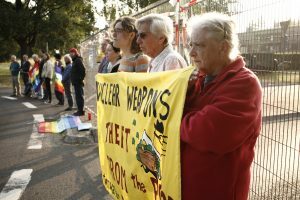 Besides lobbying work, nonviolent direct action increases awareness and political pressure, keeps the B61 issue in the public eye, and challenges “nuclear sharing” courts. Because of public criticism, (a 2016 poll shows that about 90% of the German public is against the US nukes) the united Campaign Council now includes major international organizations, and its work led to the political decision to decriminalize participation in nonviolent blockades at Büchel. Finally, in 2017 the global nuclear weapons ban treaty was signed at the United Nations by 70 countries, and 21 countries have ratified the Treaty. Fifty ratifications are needed for it to become international law, a goal that may be reached this year. German political decision makers refused to take part in the negotiations for the treaty ban and have refused to sign it—following the bad example of the United States, most NATO members, and all other nuclear-armed states. In 2017, during Germany’s nationwide election campaign, Social Democrat Party leader Martin Schulz promised he would demand removal of the US weapons if he became chancellor—and Germany’s Foreign Minister Sigmar Gabriel publicly endorsed Schulz’s promise at a Washington, DC press conference. Also, Germany’s Left Party called for a parliamentary decision to remove the B61s, and the Green Party has the permanent removal of the bombs as part of its platform. These parties need to be pressured to take further actions to send the bombs home. Politicians know that when Germany steps out, it will affect future decisions of the four other “nuclear sharing” countries (Belgium, Holland, Italy and Turkey). A “domino effect” is possible, so the best time to stop the B61-12 program is now—before it goes into production. A camp meeting planning the next action at Büchel. 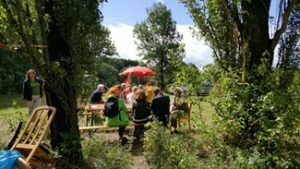 Camp housing in this beautiful volcanic region of Germany, near the Mosel River Valley includes tent camping or rental cabin rooms. Make arrangements early for indoor space, and for other special accommodations you might need. The camp has limited internet access. See Nukewatch’s accompanying article, How the Wall Street Journal Gets it Wrong. The [German] center-left Social Democrats, or SPD, have appointed a commission to re-evaluate their positions on strategic, foreign and security policy, including the merits of “nuclear sharing,” a Cold War-era agreement under which German warplanes would be used to launch US nuclear weapons in case of a Russian attack on Europe, a senior party official said. The deliberations came partly as a result of President Trump’s withdrawal from a treaty with Russia that regulates the presence of nuclear missiles in Europe, according to SPD officials. The US plans to withdraw from the Intermediate-Range Nuclear Forces Treaty after accusing Russia of violating it for years. After Mr. Trump’s repeated criticism of the military alliance and its members, the SPD move shows NATO’s cohesion is now also under threat from a backlash among center-left forces in Europe that had long stopped questioning the alliance. [German Chancellor Angela] Merkel’s party is continuing to back the agreement. Nevertheless, a decision by its junior coalition partner to oppose nuclear sharing would be momentous, putting into question an institution that is as old as Germany’s 1955 membership of the North Atlantic Treaty Organization. Consecutive US administrations have criticized Germany for what they called insufficient military spending, but the dispute has escalated under Mr. Trump, who has put Berlin under notice to boost its defense budget. Parties critical of Mr. Trump tap a rich political vein in Germany. A 2018 Pew Research Center survey for the Munich Security Conference, a global security forum, showed only 10% of Germans thought the US president was doing the right thing regarding world affairs, compared with 35% for Russian President Vladimir Putin and 30% for Chinese President Xi Jinping. The appointment of the SPD commission will also put additional stress on Ms. Merkel’s fractious coalition. The chancellor’s conservatives back higher military expenditure and want to renew the ailing German Air Force with an order of US-made aircraft that are certified to carry US nuclear weapons. Leading SPD figures have said they would block the recently proposed purchase of up to 45 Boeing Co.-made F/A-18 jets by Ms. Merkel’s defense minister. A NATO spokeswoman said the alliance relied on the capabilities and infrastructure of its members in Europe. “Allied aircraft supporting NATO’s nuclear deterrence mission are central to this effort and we welcome the broadest possible participation in our nuclear burden-sharing arrangements,” she added. Germany is part of NATO’s so-called nuclear-sharing agreement that goes back to the 1950s. While exact numbers are secret, experts believe the United States has around 180 B61 tactical nuclear bombs on the continent—some 20 in Germany and the rest spread across Belgium, Italy, the Netherlands and Turkey. “We don’t think that the nuclear-sharing agreement is fit for the times anymore,” said Ralf Stegner, Vice Chairman of the SPD, following a meeting of the party leadership on [February 11]. He said the SPD was extremely unlikely to support the F/A-18 purchase. The procurement would be a key step in maintaining nuclear sharing in coming decades. The only aircraft in the German fleet currently certified by the US to carry nuclear weapons are the German-made Tornados. But some of those are 40 years old and are being retired. Mr. Stegner added that the mounting US pressure on Germany meant that the country was headed toward a fundamental debate about nuclear armament and military spending of a kind that hadn’t taken place since 1982, when a rebellion within the SPD over the stationing of nuclear weapons in Europe contributed to the ouster of Chancellor Helmut Schmidt. “Nuclear sharing doesn’t necessarily mean we need to host nuclear weapons,” said Rolf Mützenich, the SPD’s deputy floor leader and speaker on defense policy. Mr. Mützenich said Germany could follow the example of Canada, a NATO ally that doesn’t keep US nuclear weapons on its soil. Mr. Mützenich said he believed a majority of SPD lawmakers would reject any proposal to purchase new US aircraft, partly because of the large cost. Growing animosity between NATO and Russia and the likelihood of a renewed arms race were all arguments against nuclear sharing, Mr. Mützenich added. The looming dispute about military doctrine, military spending and procurement is just one of many now rocking Ms. Merkel’s coalition—a government many analysts think could unravel as early as this year. Peter Beyer, Ms. Merkel’s coordinator for trans-Atlantic cooperation and a member of her conservative party, said nuclear sharing was indispensable. Failure to revamp Germany’s aging fleet of nuclear-capable bombers would make a farce of the country’s commitment to the NATO nuclear deterrent, he said. —Bojan Pancevski (bojan.pancevski@wsj.com) wrote this for the February 12, 2019 edition of The Wall Street Journal. * See Nukewatch’s accompanying article, How the Wall Street Journal Gets it Wrong. * See accompanying article In Germany, Long-Standing Deal to Host US Nuclear Weapons is Now in Question. A Sandia National Laboratories mechanical engineer adjusts a microphone for an acoustic test on a prototype of the new B61-12 nuclear bomb, scheduled to go into production by 2020. Photo by US Energy Dept. The Wall St. Journal’s claim that the current debate in Germany about US nuclear weapons stationed there is “the first since the 1980s” is in error. Here are just a few examples of the debate. In 2008, five former armed forces chiefs from the US, Britain, Germany, France and The Netherlands published a manifesto that declared in part that a “first strike” nuclear option remains an “indispensable instrument” since there is “simply no realistic prospect of a nuclear-free world.” The paper was signed by a former chairman of the US Joint Chiefs of Staff, Germany’s former top soldier and ex-chairman of NATO’s military committee, a former Dutch Chief of Staff, a former French Chief of Staff, and former Chief of the General Staff in the UK. In 2009, then German Foreign Minister Frank-Walter Steinmeier said the US B61 arsenal in Germany was “militarily obsolete” and urged the US to remove it. On March 26, 2010, following nationwide grassroots campaigning and demonstrations, the German parliament adopted a widely popular, cross-party (nonpartisan) resolution demanding that the federal government see to the removal of US weapons. The LA Times reported that Schulz said at a campaign rally, “As chancellor, I’d push for the ejection of nuclear weapons stored in Germany.” The debate continued as conservative politicians and editorials attacked Schulz as unrealistic about military matters. Headlines and radio waves were buzzing again in July 2018, after five separate groups of activists clipped the fence around Büchel Air Base in broad daylight, gaining entry to the base and again occupying the top of a hardened aircraft shelter. Court cases stemming from these civil resistance actions always push the issue and the debate into the public square.